This major open access repository preserves and promotes the writings of the American poet, critic, and novelist Laura (Riding) Jackson (1901-1991). Curated by Dr Mark Jacobs, this archive houses a collection of over 1,000 letters and documents, and is the largest collection of material relating to Laura (Riding) Jackson outside of Cornell University. It is one of the primary online resources relating to a writer who was at the centre of some of the most significant developments in English and American literature in the 20th Century. For more information and for relevant links to Poetry, Prose and Letters by Laura (Riding) Jackson, visit the website. Laura (Riding) Jackson was born Laura Reichenthal in New York City in 1901. Her first published poem appeared in The Fugitive in 1923. The next year she was awarded the magazine's "Nashville Prize" and invited to become a member of the Fugitive Group. 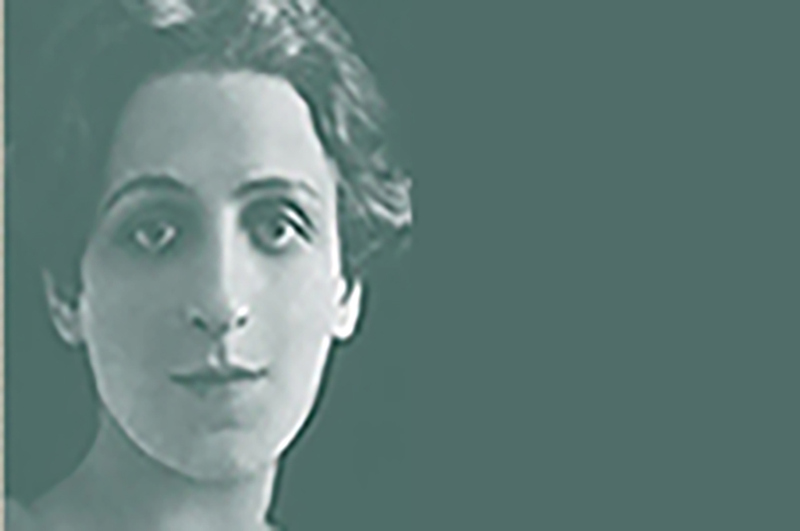 In 1925 she sailed for England and, during thirteen years abroad (primarily in England and Majorca), wrote some twenty books of poetry, criticism, and story. She also wrote, in collaboration with Robert Graves, A Survey of Modernist Poetry and A Pamphlet Against Anthologies. After returning to the United States in 1939, she renounced poetry and literary affiliations, having come to see language itself as "the essential moral meeting-ground." Schuyler B. Jackson, whom she married in 1941, collaborated with her on Rational Meaning: A New Foundation for the Definition of Words. In 1991, she was awarded the Bollingen Prize for her lifetime contribution to poetry. Since her death on September 2, 1991, several of Laura (Riding) Jackson's early books have been republished and a number of new titles have appeared. Cornell University Library has posted a detailed chronology of Laura (Riding) Jackson's life. Trent Editions aims to recover landmark texts. They are currently publishing a series of Laura (Riding) Jackson books (Series Editor: Mark Jacobs), including a forthcoming two-volume new title The Person I Am, edited by John Nolan and Carroll Ann Friedmann, due out 2011. Reviewers should contact Mark Jacobs. Further volumes to follow this one will include new essays, reprints of out-of-print work, a new selection of stories, letters, etc. Trent Edition Books are also available from the online store. The Laura (Riding) Jackson Foundation mission is to preserve and interpret the home of the late poet, Laura (Riding) Jackson, and to promote literary programs that nurture a passion for the written word. Laura (Riding) Jackson, widely noted avant-garde poet of the 1920s and 1930s, settled in Indian River County in the latter part of her life in a “cracker” style house built around 1910. The home was bequeathed to the Foundation for preservation and restoration, and as a focal point for the study of literature, philosophy and history. The home is an example of a disappearing architectural style and a symbol of an older, more environmentally sensitive way of life. The National Poetry Foundation for the Conference and transfer of literary responsibilities to Cornell University Library, December 2010, according to the terms of Laura (Riding) Jackson's will. Persea Books: publisher of A Mannered Grace, biography by Elizabeth Friedmann); A Reader, edited by Elizabeth Friedmann, in 2005; and The Poems of Laura Riding: A Newly Revised Edition Of The 1938/1980 Collection, Centennial Preface by Mark Jacobs, in 2001. Persea has also published First Awakenings: The Early Selected Poems of Laura Riding, The Word "Woman" and Other Related Writings, Progress of Stories, and other books. See Persea's catalogue for a complete list and ordering information. Carcanet Press: publisher of Selected Essays from Epilogue: Laura Riding and Robert Graves, edited by Mark Jacobs, in 2001. University of California Press: publisher of a new edition of Anarchism Is Not Enough, by Lisa Samuels, in 1999. University Press of Virginia: publisher of Rational Meaning, edited by William Harmon, in 1997. Poems for the Millenium: The University of California Book of Modern and Postmodern Poetry includes' Elegy in a Spider's Web'. Alan J Clark: Laura (Riding) Jackson's authorized bibliographer has also served as editor of a number of books, including the recent The Poems of Laura Ridingand is co-editor of Under The Mind's Watch, Peter Lang Associates 2005. Elizabeth Friedmann: Laura (Riding) Jackson's official biographer may be contacted concerning U.S. copyright permissions for Laura (Riding) Jackson's works. William Harmon: poet, teacher, and editor of Rational Meaning. Mark Jacobs: provided the centennial preface for The Poems of Laura Riding: A Newly Revised Edition of the 1938/1980 Collection. John Nolan: editor of Laura (Riding) Jackson's The Failure of Poetry (forthcoming from University of Michigan Press) and co-editor of Under The Mind's Watch,Peter Lang Associates 2005. Co-editor with Carroll Ann Friedman of The Person I Am. Lisa Samuels: 'Poetic Arrest, Laura Riding, Wallace Stevens and the Modernist Afterlife'; editor of Anarchism Is Not Enough, the latter published by University of California Press in 1999. Amber Vogel: is editing The Breath of Letters: Selected Correspondence of Laura Riding. Cornell University: Laura (Riding) Jackson and Schuyler B. Jackson Collection. Indiana University: The Donald Gay Correspondence with Laura (Riding) Jackson, Robert Graves, et al. St John's College Robert Graves Archive and Gravesiana Journal, published every two months. The University of Victoria Robert Graves Diary, Chief Editor Elizabeth Grove-White. Offers an excellent facsimile of the diary plus text. Compare with Focus for the year 1935.